Congrats, Redux. Today the art center finally got a sign (in addition to their building’s ‘Big Bertha’ signage, which references its other inhabitant, a storage company). 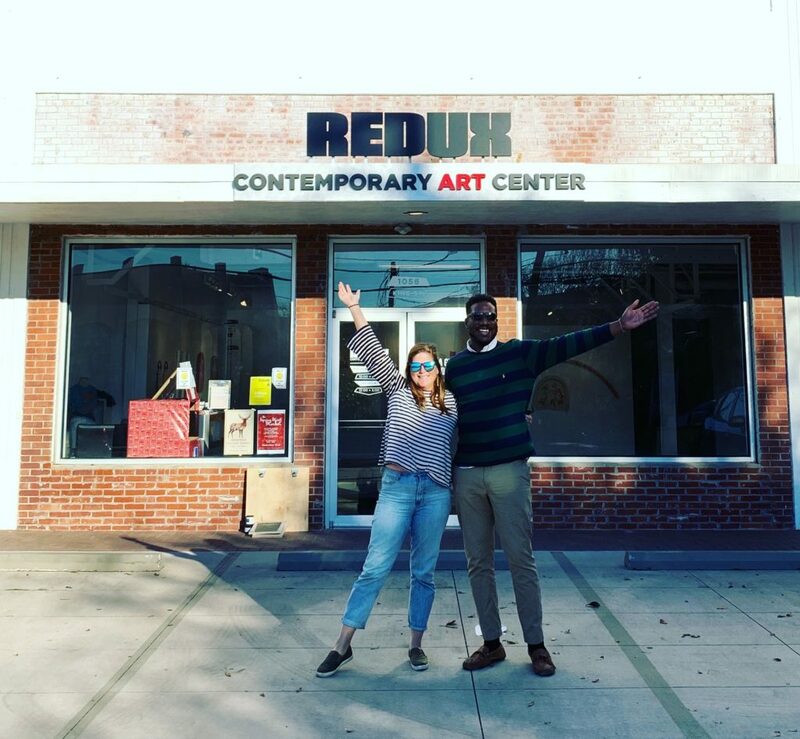 Executive director of Redux, Cara Leepson, says that she never thought she’d be this excited about a sign. After 18 months in the spot, though, it’s nice to let passersby know what’s going on inside of 1056 King St. Which is to say, a lot. Head by Redux anytime this month to see Camela Guevara’s new exhibit, Care Work. You can also check out a selection of pieces from the Redux archive, on display in smaller exhibit space, Gallery 1056.